I first met Chris Carpenter during the 2014 vintage. New Orleans wine collector Dr Bob DeBellevue was in town. Dr Bob had showed me around New Orleans when I was working on the Grange book. I was returning the favor and showing him around Adelaide and McLaren Vale. We called into Yangarra to see Whitey. “Come with me and meet another Yank” say’s Philip to Dr Bob. Chris was in the cellar blending the first vintage for the new Hickinbotham Clarendon wines. We did some barrel tasting, Dr Bob thought it was pretty good, even tried to buy some. At one of our favourite Chinese restaurants ‘Park Lok’ early this year, Chris bought one of his Californian Cabernets, a 2010 Lokoya Howell Mountain. There were some very very serious wines on the table this night. The Lokoya was right up there. I really enjoyed it and thought Chris knows Cabernet Sauvignon. Here’s his story. 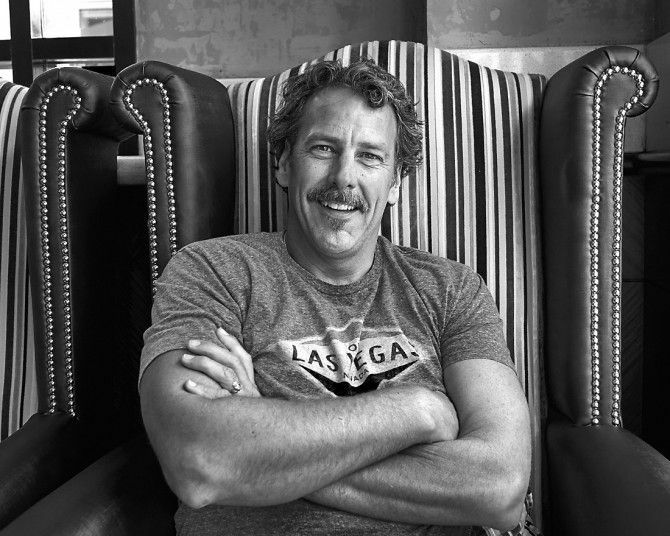 I am a California-based winemaker specifically in the Napa Valley with Jackson Enterprises, one of the largest family-owned wine groups in the world. We have over 50 different brands. The four brands that I look after are Cardinale, Lokoya, La Jota and Mt. Brave. 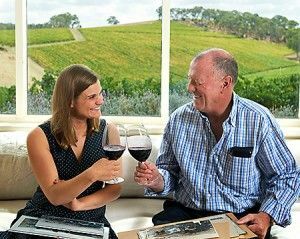 Since 2012 I have travelled to Australia several times a year to oversee the winemaking for the Bordeaux varieties at Jackson Enterprises’ Hickinbotham Clarendon Vineyard. 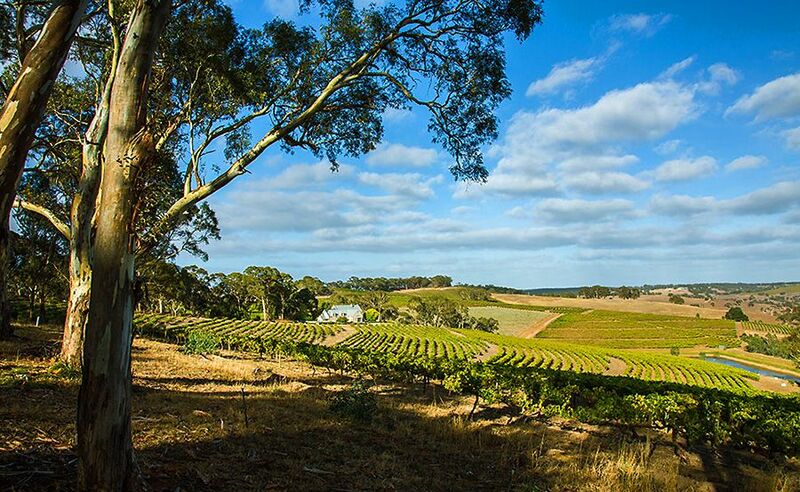 The Clarendon vineyard has a great pedigree going back to the late 1800s. The Cabernet it grows particularly interests me. What was your early life like and how did you get an interest in wine ? I was born in Boston but I grew up in Chicago. I went to the University of Illinois to study biology, my intention was to become a doctor, but I realised halfway through that I was more interested in natural biology not human biology. I worked as a bartender to get through school then moved to Chicago and worked in a saloon a bit like the Exeter. 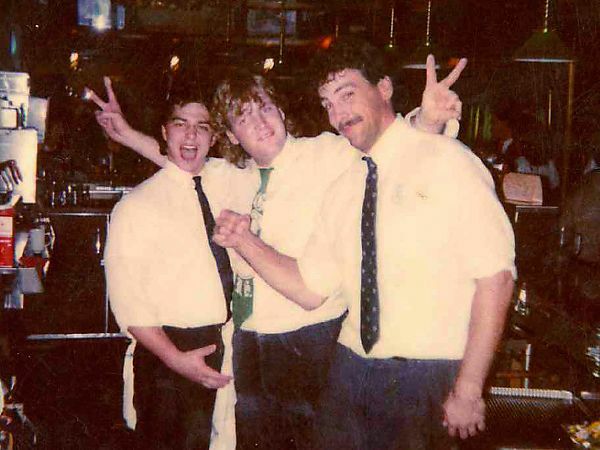 It was open to 5am and many of my best customers who became best friends were restaurant people. They would roll in for a drink after work and one of these guys worked in an Italian restaurant. He was probably three or four years ahead of the rest of us regarding wine. We were young, he was turning us on to wine, and together as a group we explored Chicago through food and wine. I got a job during the day selling medical products – it was a good job for a great company and they were getting ready to move me to marketing. I realised the next move would put me on a path that would be hard to stop. 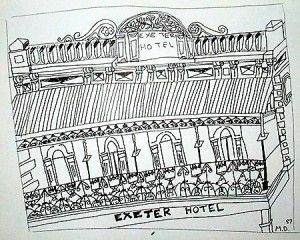 The Exeter Hotel, Rundle St East. Sketch : Amelia ‘Millie the Kid’ Dickins. It wasn’t so I quit and went walkabout with a buddy in California spending some time in the Napa Valley. When you talk to the people in the wine industry you get a sense of what goes on, what it takes to make wine. I’d never seen wine from that angle. I loved drinking wine and now I was getting to know the producers. I made the realisation that there was a lot of science involved in this. I had this desire to utilise my degree in a more meaningful, more hands-on way and thought to myself “maybe I could combine my love of food and wine, my science background and a desire to do something creatively into this field?” But how to put it all together? At the time I subscribed to a number of food and wine magazines. About a month after my walkabout one of them had an article on the University of California Davis’ program in Enology (US version of oenology), and how it launched many careers in this field. I read this article and had that ‘eureka’ moment. I applied to UC Davis and was accepted. My girlfriend at the time decided that if I was going to California she should be my wife and should come with me. So we got married and off we went to California! Favourite wine style, memorable wines or wine bars ? 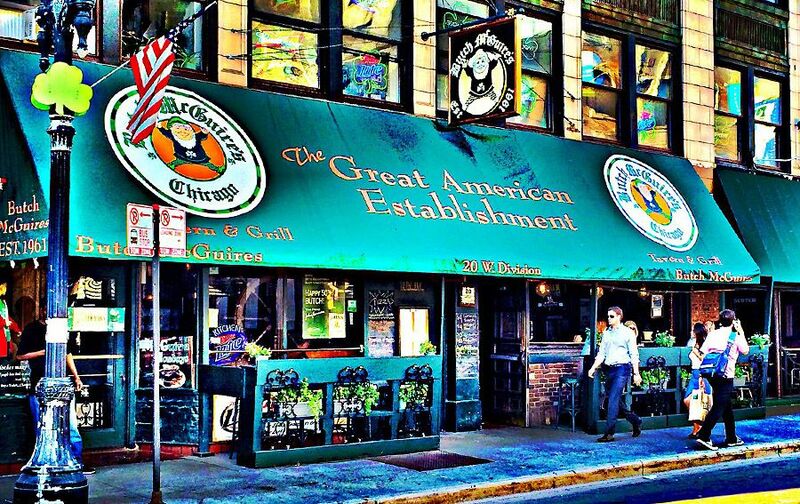 The Chicago pub ‘Butch McQuires’ where Chris worked while a student. I travel a lot and where ever I go I like to try the wine being produced in that region. Mavrud from Bulgaria, Fantaseca Negra from Romania, Tokai from Hungary, Malbec in Argentina, Tannat in Uruguay, the list goes on and on. You can always learn something. One of the great things about the wine industry is learning all the time. If you think you know it all, you’re finished. 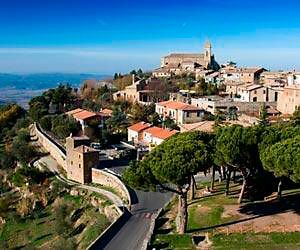 The village of Montalcino, in Tuscany Italy. 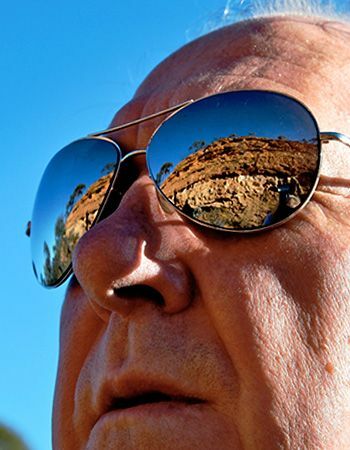 What I have found is there is the absolute reality of terroir and how grapes express themselves by way of the geology. 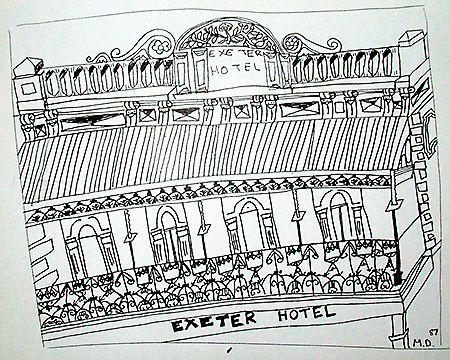 There is also a stylistic reality that’s driven by the place. So the wines and wine styles I like are Brunello di Montalcino, Spanish Priorat, aged Aussie rieslings and obviously good Napa Cabernet. I can tell you one thing though, if you offer me a Brunello di Montalcino, any day of the week I’ll be your best friend! It’s a fabulous fabulous expression of Italy. Favorite bars? Do you have a day? Butch Mcguires in Chicago, Schubas is the music club I worked at, Delilah’s has a huge collection of whiskies, Kingston Mines, the Checkerboard. 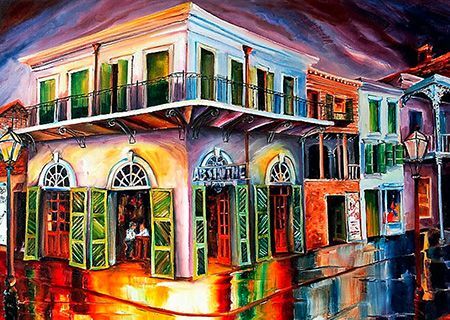 New Orleans is my second city, the old ‘Absinthe’ bar just off Bourbon Street, Tipatinas, The Rock n Bowl, the Maple Leaf, Jaques Imos. My favourite bars I like to call Wookie bars. You remember the scene in Star Wars and every creature in the world is in there? That’s’ what I call a Wookie Bar – not just one type or demographic of person, it’s all of them. Every city has a bar like that, full of different people just being. My favourite Napa bar is Pancha’s right down the road from the French Laundry. It’s a Wookie bar. You go in there at 11 o’clock at night and you see tourists, restaurant people just getting off of work, the locals, the vineyard guys, the ranchers, the cowboys. A great mix of people, great vibe. I like that. You are based in the Napa, but here in Australia for vintage. Any differences? I was asked that recently by one of the younger people at Yangarra. There are small differences but the basic wine making is the same. What separates everything is the geography. If you compare Clarendon to the Napa Valley the big difference is the soil. In the Napa Valley the soil is a sedimentary, mostly ocean bottom soil and a lot of volcanic via the two plates colliding, raising up the ocean and creating the volcanic activity in the region. 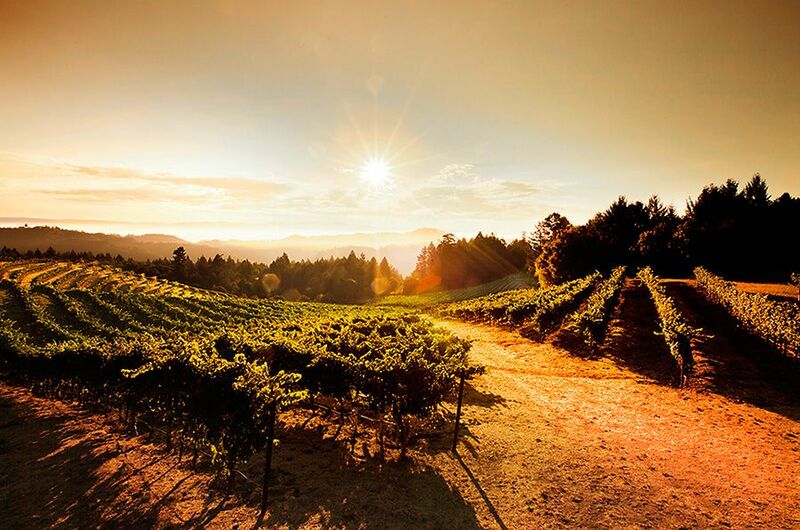 Cardinale Wines, Mount Veeder Peak Vineyard on the South Western edge of the Napa Valley. Photo supplied by Cardinale. This is a very unique soil mixture. Australia is an old, and I mean really old, continent. It’s compacting and decomposing in different ways. Different species of plants such as eucalyptus dominate. In the Napa Valley we have conifers and oaks and all are contributing to the biomass of the soil. That all creates a really big difference, so I concentrated on learning about the geology when I arrived here. That’s how I got to know Whitey, he’s a great source of information on geology, an unbelievable source. I asked him, “tell me about the soil, gimme some background”. It’s like turning on the radio you just sit back and listen. I feel fortunate to consider him a friend, he is a wealth of information about wine styles, geology, history, religion, art and women. And he’s got stories, philosophies and fact on all of the topics! You know what’s amazing about the guy, he knows everybody in the industry and everybody knows him, but not so much with the general public. In the music world you know you have musicians like that as well, a musician’s musician. Pat McLaughlin in Nashville is like that. He is this incredible guitarist, songwriter that anyone in the music world in Nashville will know about and respect, but you ask most fans and they have no idea who he is. Whitey is a bit like that. Climate change is a big issue here, is it the same in California ? I think Aussies are seven to eight years ahead of us in the States in dealing with climate change. We are just now starting to look at our water supply and how to manage it better. We’ve benefited in northern California from a lot of snowpack water flow over the years, but the amount of snow pack in the past six years has dropped significantly so has the water flows. Like many things, until it starts to hit you in the pocketbook (that’s the back pocket down under) you don’t do anything about it. The drilled wells are going dry and we have to go deeper and deeper to find water. It’s a major issue. San Joaquin Valley. Central California. 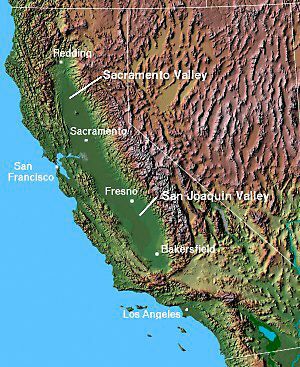 The San Joaquin Valley is this massive valley about two thirds of California. It was an inland sea and when it drained it left very fertile soil. This is where most of the specialty crops in the US are grown but it’s really dry there now, very similar to what goes on in southern Australia. They are now drilling wells everywhere looking for water and the drilling companies are booked a couple of years in advance. Salinity is increasing, the land is sinking and the earthquakes are increasing. It’s real! There is no water capture, not like there is here in Australia. We could learn to do that. We used to be a cool climate region, all the trellis systems were designed for that climate. Nowadays with the heatwaves and intensity of the sun, we are even changing the way we trellis the vines. We had no rain at early bud break this year. Typically Napa might get 20 to 21 inches. Last year we got like 15 inches maybe this year’s will be 16 to 17 inches. People are thinking ahead and starting to buy land north where there is a bit more water, just like some wine people are buying up in Tasmania. With a lot of heat, no water and no rain to maintain the vines a different paradigm is created. Are there any real differences between wine drinkers here or in the USA ? The big difference is not so much in what wine people are drinking – it is how people are influenced. In the States we are influenced much more by the critic – Robert Parker, James Laube of the Spectator, those sort of people. But in Australia it’s much more by wine show awards. In the US we have some wine shows but they don’t carry much weight. A sommelier at a major restaurant couldn’t really care much about an award, they really want to know what Parker gave it. In Australia it’s different, you get a gold medal or a trophy and the industry takes notice. 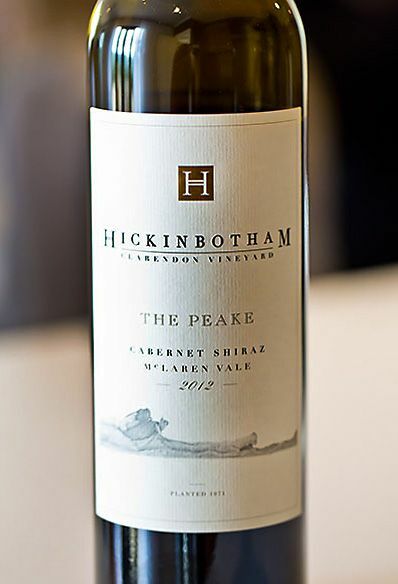 Hickinbotham ‘The Peake’ Cabernet Shiraz. Right now, as I was telling someone the other day I can’t wait to get back to California for a really good burrito. Apart from that I’d love a combination of my favourite food from around the world; a plate of pork carnitas from Mexico, chicken masala from India, some Italian pasta with white truffles and egg, Aussie BBQ lamb grilled on the barbie and goose confit from la Tupina in Bordeaux. To drink; a Negroni made with Old Raj Gin, Knob Creek manhattan , Clare Reisling, Brunello, Napa cab , first growth Bordeaux and a shiraz from Barossa. Vin Santo from Tuscany, champagne thru the entire meal and a Guiness to finish it all off! Where ? 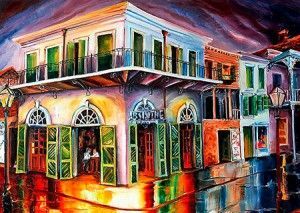 Depends on what mood; sultry hot music mood – New Orleans, low key, mellow, and it’s all good mood – Hawaii. In a French mood – a bistro in Paris. I don’t have any one favourite place : I love New York, I love Paris, Florence, Chicago, New Orleans, Hawaii and I love coming here. Obviously my kids. I have two girls, an 11 and a 14 year old. I sail a bit, but not much right now. Music more than anything, that’s my biggest passion. I play a little trombone and I listen to a tremendous amount of music. I use this passion to understand wine. I see wine thru my eyes and ears just like I perceive music. How I taste the flavour and blend and how I approach it is all based on how I see and feel music. It’s not the same sensory organ but the concept is similar. When I think about flavor I think about how I listen to and enjoy music. Why do I think about it via music? When you go to see a good orchestra a good conductor blends all the sounds together, you don’t notice any of the sections but if the brass section suddenly goes off on a rag time jazz riff in the middle of Mozart, your head goes, ‘what’s that all about, it’s not balanced.’ Flavour is identical to that. If your flavours are off kilter you’ll notice. I use music to set my mind to blend. I have had many mentors; Charles Thomas, Marco DiGiulio in Napa, RenzoCotarella in Italy, my lecturers at Davis. I learn from my assistant winemaker and my staff and interns, I tell them, “you will learn from me and I’m going to learn from you.” There are a lot of wine makers I respect, but most of my influence comes from music. 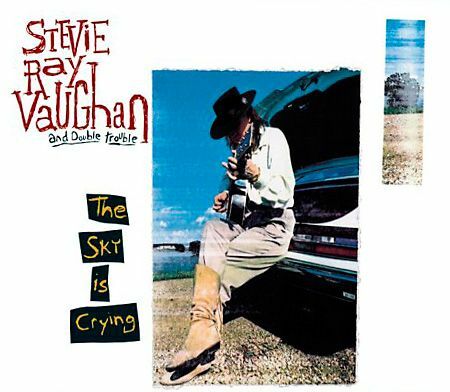 Why are Stevie Ray Vaughan, John Coltrane and Leonard Bernstein so great? What made them great and what set them apart? It was their individuality. They did all the same thing lots of other guys were doing, but what set them apart was something about their soul and about the way they expressed themselves individually. That’s how I approach my wine. I want people to recognise that. Why the wine industry ? One of the guys at the winery the other day asked me if I feel we share things in the wine business. I said, “do we ever!” That’s one of the great things about the wine business, it’s like no other. The reality is, I could do everything identically to another winemaker, everything from a to z, but if my grapes come from Clarendon and theirs are from Napa, it’s going to be different. We learn from each other. 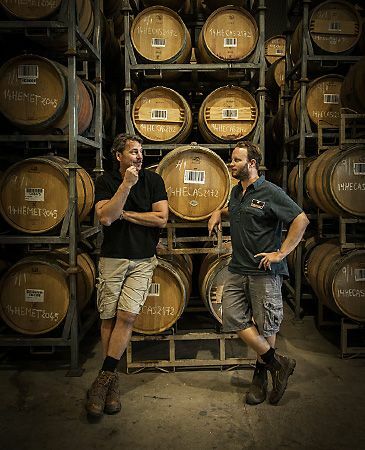 There are very few people I have ever run up against that say, “Oh I’m not telling you that”, even the guys from the first growths in Bordeaux, they don’t care because the land ultimately sets you apart. The other great thing about the wine industry is that it takes you to some of the most beautiful and special places in the world. I transform a fruit into a beverage that helps people transcend their normal lives. Then I get feedback, often immediately or sometimes months later. It’s a different type of art form, seeing the joy in other people and seeing them get real enjoyment from it. It’s a real pleasure getting that feedback for what you have done. I read a lot of history books. Almost always somewhere in a book there is talk of wine. Wine they had that night when they were changing the world. Wines have been made for most of our recorded history. Wine is part of human history.